Excel Geophysical Services offers clients unparalleled experience in seismic data processing. 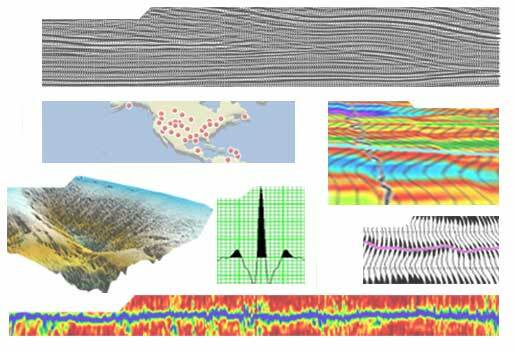 Since its founding in 1989, Excel has attracted and maintained a core group of highly experienced seismic data processors with a broad spectrum of 2D and 3D geophysical expertise. The company is committed to providing these dedicated and hard working technologists with the best in software and hardware tools, enabling them to complete our mission of full customer satisfaction. Our staff has worldwide experience, not only in oil and gas processing, but in near surface engineering, environmental, and minerals seismic applications. We offer both in-house and remote center seismic data processing, crew startups, field processing, tape copies/media conversion and field systems leasing. In 1991, Excel became an early user of the Landmark Graphics Corporation’s (then, “Advance Geophysical”) ProMAX interactive seismic data processing system. Today, we continue to work closely with the Research and Development staff at Landmark, with a goal of providing clients with the best new developments in seismic data processing technology. We also partner with a number of other technology developers to supplement our services over a wide range of geophysical applications. With our dedication to utilizing the best new technology, applied by a staff with a great depth of experience, Excel has grown from a Rocky Mountain service provider into a respected processing company working with clients from around the globe. Few companies can match the broad perspective that Excel, with an average of 28 years of experience for each processor, can bring to every project. Our staff has processed 2D, 3D, 4D, and multi-component data in land, transition zone and marine environments from all over the world. Our goal at Excel is to apply the knowledge and experience of our staff to produce unparalleled results for your seismic data. Interaction with our clients is strongly encouraged. A client’s expertise in local and regional geology is an invaluable asset during processing. To facilitate the exchange of knowledge and experience, Excel promotesboth face-to-face and remote collaboration between the interpreter and the processor during all phases of the project. To this end, we make considerable use of email, FTP, our presentation center, and collaboration software, allowing simultaneous viewing of the data from two locations. At Excel, we are dedicated to creating the best possible subsurface images for our clients. Superior imaging results can only be obtained through the interaction of geophysically sound technology, experienced and knowledgeable people to apply their insights into complex data, and the dedication of client and processor alike to achieve results that satisfy the project objectives. We understand that turnaround time is vital to our clients’ success, and we use all of our available resources to produce timely results. We are also well known for our additional efforts to extract the most information from the data, whether by additional velocity model updates and migrations, signal-processing tests, or one more attempt to resolve the statics. Until we feel that we have exhausted all reasonable processing strategies, we will not be satisfied. The success of Excel in providing consistently high quality seismic images has been recognized by both our clients and suppliers. We have enjoyed alliance relationships with major oil companies that have included dedicated and internal processing facilities, training of their personnel in processing techniques, and use of proprietary processing algorithms. Our software suppliers have also recommended our services for training and outsourcing of seismic processing expertise. We owe our success as a seismic processing company to the loyalty of our many clients. We seek to deliver consistent quality of data processing and communication that will encourage our clients to return to us with their next project. Our gratitude for the long-term relationships that we have developed is sincere. The loyalty and stability of our staff has also contributed significantly to the consistency of our work.